The recent increase in ride-sharing apps and services has made travel and transportation more convenient than ever. However, while consumers have a variety of options to choose from, this also carries a risk of reliability in different drivers and services. Riding with professional drivers from T-Plus will provide you with the same convenience as other services, without the headache or risk associated with those. Read on for a few reasons why choosing T-Plus drivers can give you some added peace of mind and a spike in ride quality. As ride-sharing platforms have taken off, the number of drivers needed to support the demand has increased. But most of the drivers with other transportation companies are part-time drivers looking to make a little side money. These drivers are normally employed elsewhere full-time, which means that they have had no formal training or guidance on how best to transport passengers. 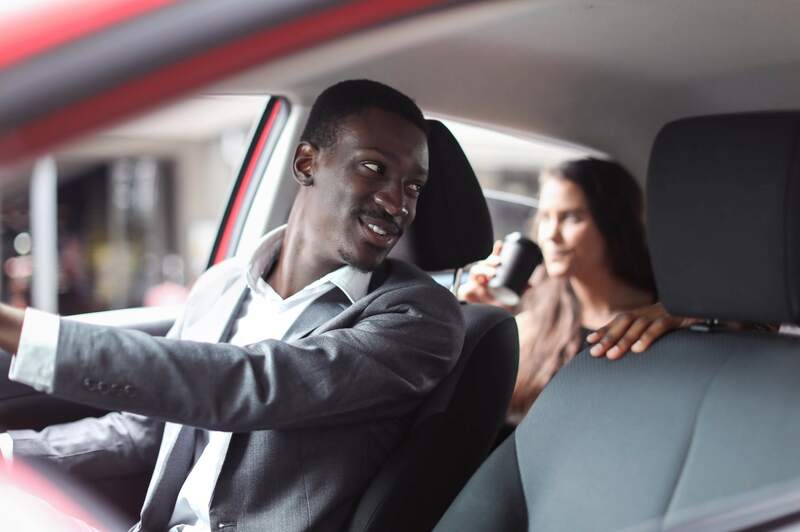 Drivers can be a wealth of knowledge and your first introduction to a new area - but without any customer service training, riders may miss out on a positive experience with their driver. T-Plus drivers are trained professionals that provide high-quality transportation as their full-time occupation. This means that our drivers have received customer service training and understand how best to interact with you to provide a pleasant and easy ride. You can trust T-Plus drivers to make you comfortable and get you acquainted with your surroundings! Another common concern with ride-sharing services is the skill of your driver. Even if your driver is polite and friendly, they may not be the safest driver - but you have no way of determining this prior to your ride. This often makes riders uncomfortable and concerned, especially in heavy traffic or bad weather. At T-Plus, our drivers receive specialized defensive driving training in order to prioritize your safety. This training means that each driver is skilled on the road and can handle any situation that may arise, safely and calmly. You can trust T-Plus with your safety, knowing that we’ve equipped our drivers. Most ride-sharing platforms rely on their drivers using a GPS to take the best route to the destination. This can sometimes lead drivers to get lost or take a route with heavier traffic than others. T-Plus ensures all of our drivers are trained in the Twin Cities area and are familiar with all the top routes and landmarks. We also provide GPS training to our drivers so that they feel comfortable operating the technology and guiding you to your destination efficiently. This extra training and care to ensure our drivers are experts in the Twin Cities area means that you never have to worry about where you’re going or the best way to get there. Our drivers are trained professionals there to take care of you! While many ride-sharing companies have drivers utilizing their personal vehicles, T-Plus provides our drivers with a fleet of professional driving vehicles. Our vehicles are kept in tip-top shape with regular maintenance every 3,500 miles. Routine and frequent maintenance keeps our vehicles clean and running well. This gives you the best riding experience with no concern for the reliability of your ride. Finding convenient and safe transportation should be the easiest part of your travels. T-Plus offers fully-trained professional drivers to help you ride with peace of mind. Learn more about the types of rides we offer and our vehicles, or book a ride today to experience the high-quality service that T-Plus is known for.